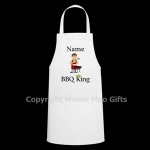 A personalised mens toiletry wash bag with a cartoon design. 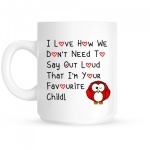 A ceramic gift mug printed with one of our own designs which reads; I Love How We Don't Have To Say Out Loud That I'm Your Favourite Child. 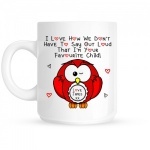 Personlised with a message in the owl's tummy. 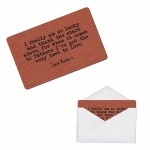 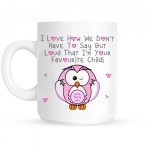 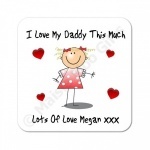 A personalised ceramic gift mug with one child showing on the front and reverse. 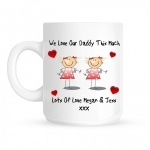 A personalised ceramic gift mug with two children (one on the front and one on the reverse). 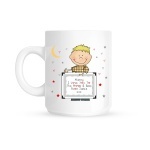 A personalised ceramic gift mug with three children (one on the front, one on the side and one on the reverse). 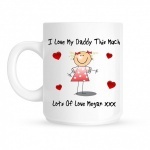 This ceramic mug is available from two children and is personalised with their name to any relative you choose. 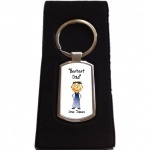 An excellent quality keyring with a Bestest Dad design. .
An excellent quality keyring with a unique I Love My Dad This Much design.